Bill Simmons accused ESPN Wednesday of going soft on its coverage of NFL Commissioner Roger Goodell to protect its lucrative bid to air NFL football games. "The way you've seen ESPN cover the NFL recently has been really shaky," Simmons said during a panel session at Vanity Fair's New Establishment Summit in San Francisco. Simmons, who recently joined HBO, went on to suggest that ESPN had gone soft on Goodell and his handling of recent controversies that have dogged the league. The reason, he said, was because the network wanted to hold onto its coveted rights to live game broadcasts. ESPN "absolutely" held back from covering Goodell, Simmons said, and other networks -- such as CBS -- did too. 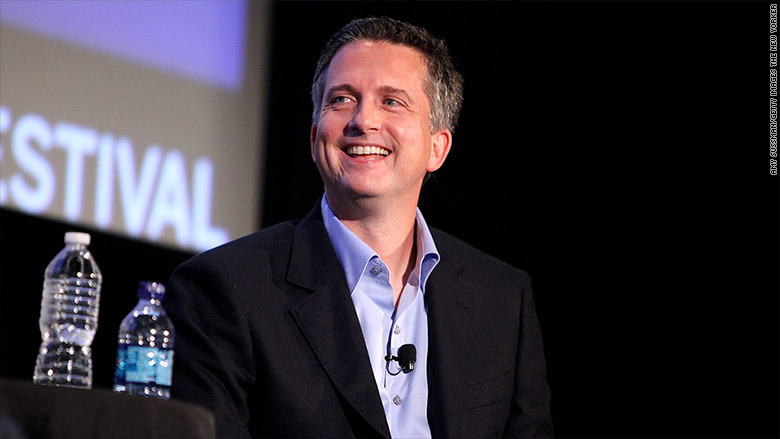 Simmons, a provocative sports writer and commentator who created the Grantland website and "30 for 30" documentary series, was fired from ESPN in May. Part of the reason for his dismissal was because of controversial statements he had made about Goodell. Simmons earned headlines this month after he said that ESPN was "in the tank" for the NFL. At Wednesday's panel, Simmons singled out the Ray Rice controversy and the New England Patriots "Deflategate" controversy as examples of times the network pulled punches. In a separate appearance on Wednesday, HBO CEO Richard Plepler stood by Simmons, saying he would never stand in the way of individual voices so long as they had integrity.